If you have been using the Samsung DeX for an extended period of time or are using applications that consume a lot of power, your device may begin to warm up. The Samsung DeX has an inbuilt fan to keep your device cool, and it will start up when your device reaches a certain temperature. When your device cools the fan will turn off automatically. What is the Samsung DeX? How do I use the Samsung DeX? Can I play audio other than through my device using the Samsung DeX? Why do some apps not work on the Samsung DeX? Which features not are available on the Samsung DeX? How do I close a running app on Samsung DeX? Can I make and/or answer calls whilst using Samsung DeX? 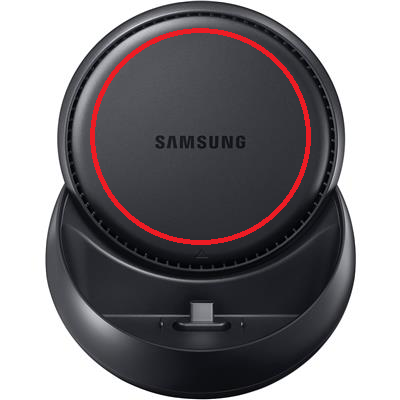 Can I charge my phone through the Samsung DeX Station?